we even come to you in your office or home and call out fee r250 only. 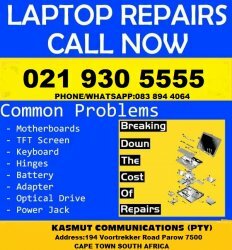 Whatsapp us on 0838944064 for quick response! !